Shares in explorer SolGold (LON, TSX:SOLG) closed 2.3% higher in London and were trading up 8.3% in Toronto early morning after it announced it had discovered a new copper and gold mineralization at its Porvenir project, located in southern Ecuador. A broad zone of northeast-trending porphyry mineralization about 1km-wide and hosting numerous porphyry centres over 6km-long and open-ended has been defined, including target 15, the company said. At target 15, SolGold has recognized an 800 metre-wide northeast-trending mineralized corridor more than 1,200 metres long. The company plans to undertake drill testing and ground magnetics at target 15 in the first quarter. An airborne-magnetic survey for the entire Porvenir concession package in the first and second quarter this year is also scheduled. SolGold has a 100% interest in 12 copper-gold targets in Ecuador, including its flagship asset, the Cascabel copper-gold project in Ecuador’s north. “The high grades and strong gold endowment at Alpala and Porvenir provides SolGold with a unique opportunity to develop this company without resorting to dilutive and erosive joint ventures,” SolGold chief executive Nick Mather said. The company grabbed headlines last year as it made progress on its flagship asset, the Cascabel copper-gold project in Ecuador’s north, one of the few new red-metal bearing ones expected to come online in the near future. Australia’s largest gold producer, Newcrest Mining (ASX: NCM), upped its stake in SolGold in December to 15.33% from 13.83%, to secure a portion of the Cascabel. The move further boosted Newcrest’s position in SolGold against No.2 shareholder, BHP, which in September had bought a 6.1% stake in the explorer. Miners are scrambling for copper projects amid forecasts that demand for the metal will significantly outstrip supply from 2020, due to increasing demand for power generation and electric vehicles (there are 300kg of copper in an electric bus and nine tonnes per windfarm megawatt). According to Colin Hamilton, director of commodities research at BMO Capital Markets, the current copper pipeline is the lowest seen this century, both in terms of numbers and capacity. “After delivery of Cobre Panama (with the main ramp early next year) we are left with a gap until we see the next batch of 200ktpa-plus projects in 2022-23. This is when the likes of Kamoa, Oyu Tolgoi Phase 2, and QB2 are likely to offer meaningful supply growth,” Hamilton said. Ecuador has gained ground as a mining investment destination in the past two years, thanks to a revised regulatory framework and a major investor engagement campaign that has already attracted around 420 applications for concessions in less than a year. 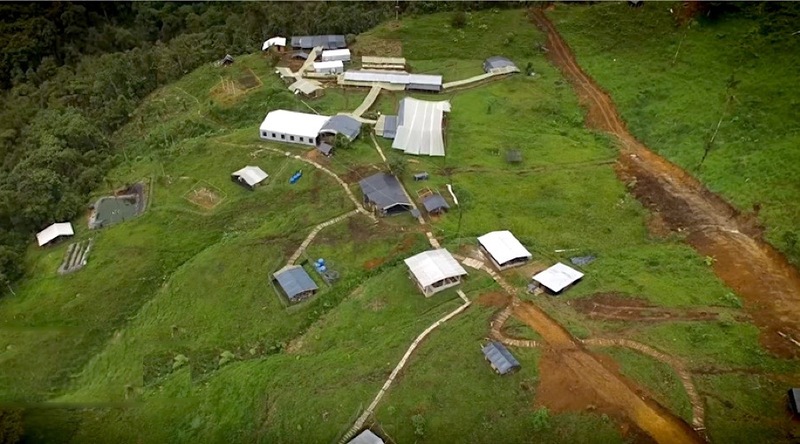 In February, Newcrest Mining (ASX:NMC) took a 14% stake in Lundin Gold, which expects to bring its Fruta del Norte gold and silver mine in southeastern Ecuador into production by the end of the year. Anglo American (LON:AAL) also landed in the South American country last year. Through a deal with Canadian Luminex Resources (TSX-V: LR), it plans to develop two copper and gold concessions there. Currently, the nation’s emerging mining sector employs 3,700 people, but the government estimates the figure will rise to about 16,000 by 2020. SolGold has a 100% interest in 12 copper-gold targets in Ecuador, which it says is under-explored compared with Chile, the world's top copper producer. The company also has assets in the Solomon Islands and Australia.